Ma! Ma! Ma! Ma! Ma! The open door policy, oh boy. If you oversee two or more volunteers, you know what I mean. 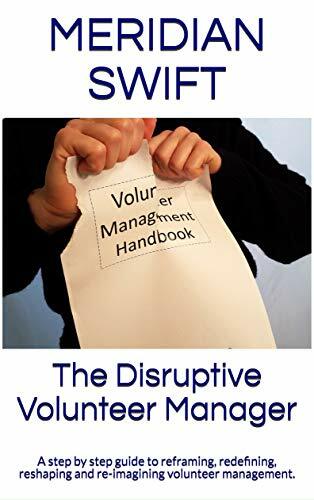 Volunteer managers pretty much are required to have an open door policy, which is great for keeping informed but is also a killer of productivity. So says Celeste, a volunteer manager who manages more than one hundred diverse volunteers working in a thrift store. Her store is large and is open six days a week. Donations flow through the store all day long, and in between customer service, cashiering, straightening, receiving goods, sorting and pricing, her volunteers are bustling from the moment they arrive to the time they leave. While it sounds like Celeste has it made, behind the scenes it took a great deal of work to create such a well oiled team of volunteers. And with that team comes the challenges she faces maintaining that team. It’s not like Celeste can go into her tiny back of the store office and watch “Days of Our Lives” while eating power bars and drinking green tea. She, and her volunteers have created a system that works like a fine automobile with Celeste’s availability, encouragement and direction much like the wheels that carry the car. Ahh ha, how smart Celeste is. If we were to judge our volunteers on their shortcomings we’d have no volunteers. And all that well-meaning advice by those who don’t work with volunteers just does not make sense to us, because we know that perfection does not come without piecing together imperfection. Our volunteer teams are made up of real human beings with gifts and shortcomings. The well oiled machine we produce is vintage. It doesn’t have all the fancy new techie stuff and it may creak here and there and it may take a few minutes to warm up and the windows may hand-roll slowly, but it works. It moves down the street with the air of the artisans who created it. No, our machine was not mass-produced by robots, it was put together with the sweat of the volunteer manager who polished every piece. And in those moments when the throaty sound of that engine revs up, we know that our machine is unique and perfect. Let’s face it. 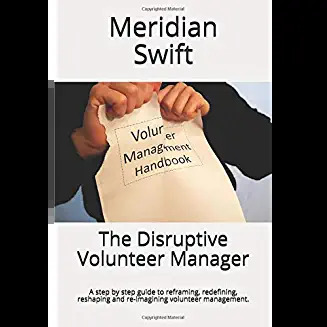 A great deal of what we do is a trade-off, and a part of our volunteer’s “pay” is our overlooking of inconvenient things, like the volunteer who interrupts us, the volunteer who needs more of our time, and the volunteer who needs reminding over and over. Should those inconveniences that may look to an outsider like we don’t know how to “control” our volunteers, cause us to lose productive volunteers? I, for one, would rather not lose great volunteers just because they require a little extra of my time. Our volunteer teams are created by vision, artisan spirit and a heck of a lot of our time and effort. That well oiled machine is made up of restored parts, and we may have to work harder on some of those parts than others to keep them running properly, but they’re necessary parts. 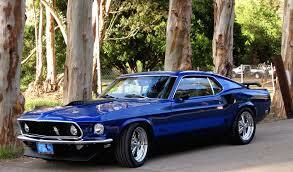 I’m off to work now, to drive in my lovingly restored well oiled and polished machine. I may have to do some maintenance and occasionally change out parts or stop for gas, but driving down the street, it is a thing of beauty. Hi what an awesome story, as a Volunteer Manager for a Hospice I relate to everything she says. Everyone of the Volunteers brings something special to our Shop and yes they all want abit of me, but in those situations you learn more about them and sometimes even more about yourself. This is a great job and I love every minute of it. Thank you for your stories. Hi Jayne and thank you for your insight! Managing a resale shop is not easy, I did it for a while and loved every minute of it. It is hard, hard work, juggling the physical, mental, management and financial aspects, so kudos to you. I’m guessing you bring a fun, positive attitude to your job, which makes your volunteers all the more dedicated and creative.